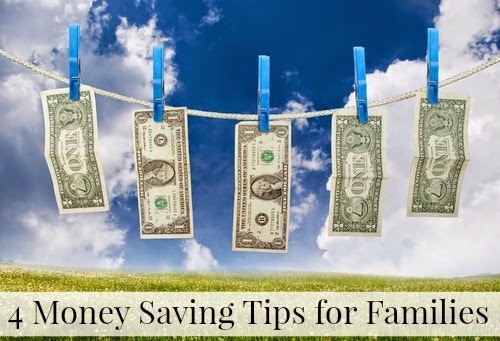 Whether you are following a budget or not, adhering to a few money saving rules is always a good idea. During the holiday season, spending can quickly spiral out of control. It's helpful to keep a few tips in mind for spending and following a budget. I had the chance to get some input from Jenna Fernandes, CEO of CareBooker.com, the only FREE “Open Table” of family and pet care services. She generously offered ideas for parents to save for what matters like adding to a child’s college fund, planning for retirement or making some long overdue household repairs. 1. Trade a vacation for a staycation: Instead of taking two vacations per year, trading one of them in for a staycation can save thousands. Investigate local towns as well as surrounding communities to see what type of fun things are offered nearby. Roadtrippers is the best go-to guide for nearby attractions such as national parks, old-school diners, art galleries and more all organized on a map with directions. The most important thing isn’t the destination, but that families are bonding and spending time together. 2. Meal planning is a must: Swinging by the drive through multiple times per week can burn a hole in anyone’s wallet. Instead of spending $25 to $40 eating at a restaurant, plan budget-friendly meals at home. When planning meals ahead of time, families always know what’s for dinner and are less likely to resort to fast food. Plan to Eat is an easy and effective online meal planning service that generates shopping lists based on the meals that people want to eat for the week, helping families spend less time and money grocery shopping. I can attest to the fact that meal planning helps to curb unnecessary spending at the grocery store. I plan our meals each weekend and shop for the items we need. During the week, I pop in to a local produce market where impulse buys are limited. 3. Smart food shopping matters: For those who hate clipping coupons, there are smartphone apps that make the job much easier. Favado, for example, locates which store has the best discounts based on a grocery list and emails the coupons for printing. It is also easier, if possible, to keep kids at home while grocery shopping— intercepting cookies and other items they try to fling into the cart is not only distracting but can cause more spending than intended. 4. Home entertainment is fun: Instead of going to the movies, check out a video from the local library and spend the night at home watching movies and popping popcorn with the family. Library rentals are free and for less than $2, popcorn can be enjoyed from the comfort of home. For newer movie options, the Redbox app locates nearby kiosks where families can reserve just-released movies to rent for as little as $1.20 a night. My family loves Netflix too. For only $8/month, we have unlimited access to thousands of movies, TV shows, and various documentaries. Pop up some popcorn and gather on the sofa for family movie night! It's a lot less expensive than taking the family out, and it's a lot more fun!